As real estate and construction projects grow in complexity, challenges emerge in collating, consolidating and analysing data as finance professionals contend with data from multiple jurisdictions and subsidiaries, in a range of currencies. Delays or errors in data can have a serious financial impact. 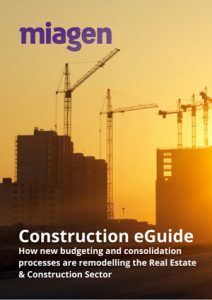 This white paper outlines the four FP&A challenges that businesses in the construction sector must meet: producing meaningful real-time financial information, understanding and driving profitability, integrating new developments for better performance, and optimising workforces. The paper also includes a case study of how NREC of Kuwait optimised its planning, budgeting and consolidation.